The month of November 2017 was a momentous one for Zimbabwe, in which Robert Mugabe was persuaded to resign as President at the age of 93 and after 37 years in power. We join in prayer with the people of Zimbabwe, including many who worship at the Cathedral, giving thanks for an almost bloodless handover of power, and praying for peace and prosperity for that country in the future. Warm congratulations to Claire Nye Hunter on her appointment as the Chancellor of the Cathedral. This means that she is now The Reverend Canon Dr Claire! She is well qualified to fulfill this position, which involves overseeing theological study and training in the diocese, and religious education in our schools. We wish God ‘s blessing on her in this role. Incidentally this post must not be confused with that of Diocesan Chancellor, which is a legal one, always undertaken by an advocate. The current Diocesan Chancellor is Adv. Kerry Watt. Congratulations also to Charles Walters, son of Paul and June, on obtaining his Masters in Theology at Durham University in the UK. St Andrew’s Prep has honoured Lorraine Mullins by naming a new and exciting building the ‘Lorraine Mullins Centre for Creative Learning’. This is a fitting tribute to Lorraine, a Prep old boy who taught at the school for many years, including as Second Master from 1966 to 1997. The musical resources of this city are amazing. Only a month after the inaugural concert of Kepa’s new community choir Kwantu, another new musical group, Byrdsongs, was launched. This group initially was brought together by Simon Tibbs to sing the Byrd 4-Part Mass during Spiritfest 2017 in the Cathedral. Their debut concert on 25 November attracted a surprisingly large and very enthusiastic audience, who had accepted the challenge of finding their way to the venue, the old Power Station off Rautenbach Road. The group of only nine singers presented a varied and delightful programme, with usually two voices or sometimes only one voice to a part. John Jackson, Virginia Davis-Engelbrecht, Mike and Sue Skipper and Asakhe Cuntsulana were among the singers. We welcome into the Cathedral family those who were baptised on 19 November: Ayazinca Nyamakazi, Emily Patricia Grosch, Abialla Soxujwa, Khayalethu Qwibi, Esethu Gaven, Axolile Tyuka and Pozisa Qokose. May God bless them as they grow in their journey of faith. On the morning of Sunday 5 November we celebrated the feast of All Saints, and the same evening the commemoration of All Souls. The Junior Choristers were in attendance at the first service, and in the evening the adults sang the beautiful ‘Little Requiem’ by A-J Bethke. The early end to the school year means that in this Cathedral we begin singing Christmas carols before Advent begins, almost as early as the Christmas decorations go up in the supermarkets. The full Cathedral Choir under Kutlwano Kepadisa (Kepa) presented a Festival of Nine Lessons and Carols on 19 November, including old congregational favourites as well as choir items from this continent like Peter Gill’s ‘Sleeping infant King’ and A-J Bethke’s ‘Carol for Africa’ and traditional numbers: the African Gloria, and ‘Tu tu Mama’. The accompanist was 14-year-old chorister Bayanda Mthetho, who played the piano for some anthems and, for congregational hymns, the organ. 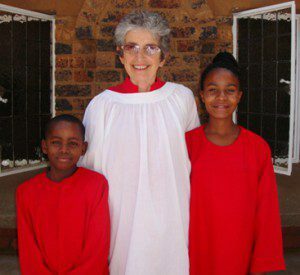 At the end of the service we bade farewell to Charis Vandereyken, who has sung in the Cathedral Choir for all the years she and her husband Niels worked at Oasis Ministries in Grahamstown. We give thanks for the important role they played in the development of our Junior Church. Anne Warring died on 9 November. Her ever cheerful and positive disposition had made it easy to forget that she was a cancer survivor. Eventually the disease caught up with her, but her death came as a shock to many. We give thanks for her life, and pray for her brothers and her many friends. We pray also for one of our College of the Transfiguration students, Lithemba Busakwe, on the death of his brother Nkosinathi, for Paul Walters on the death of his relative Alex Palmer, for the Bishop’s driver Fr Mxoli Sizani on the death of his brother Tebogo, and for Bishop Geoff Quinlan, whose wife Ros has died. Clive Whitford recently had an eye operation in East London, which was a success. We pray for him and for Isabel Bridger who was admitted to hospital in Port Elizabeth. She is the mother of Rodney, and mother-in-law of Ronaldo Burger. The Transfiguration College students have finished their year’s placement with the Cathedral, and we pray for them as they journey on to ordination or to further studies. It has been good having them with us. Some of the Rhodes students are leaving too, and the Cathedral Student Ministry and Children’s Church will especially miss Rose Msweli. We give thanks for her leadership in these two aspects of our ministry at the Cathedral, and pray for her successor as Chair of CSM, Ayanda Dabengwa, as well as the new Vice-Chair Nomvelo Masanga. 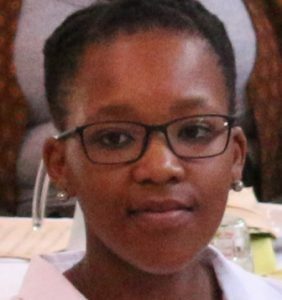 Namso Nyamela, who joined the Cathedral Choir in her Matric year, has throughout her years studying at Rhodes been most faithful in many roles at the Cathedral: chorister, server, lay minister, prayer minister and cantor! We bade a sad farewell to her on 26 November. She is now writing up her Masters thesis, and moving to Johannesburg to take up a post in January. Among those who have just finished writing Matric are the Dongwana twins, Aya and Abongile. Pray for them as they go through circumcision school. 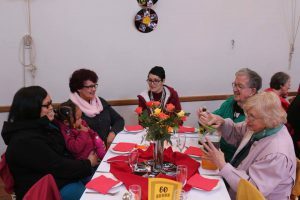 The Community of the Resurrection Sisters held their Associates Day on 25 November. It was good to meet up with Rita Macrae and Larry Collett, former members of the Cathedral. Larry has now moved closer to us, and is living in Kenton-on-Sea. 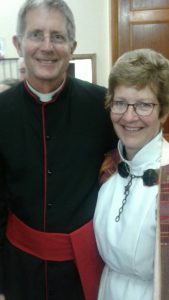 Bishop Paddy Glover was the preacher at the Eucharist, and Sue Hennessy, a friend from the UK, gave a beautifully illustrated talk about her recent visit to the Antarctic. Last month’s ‘People and Places’ reported on the splendid achievement of John Murray, who graduated from UNISA on 16 October with Distinction in his Psychology and English Literature degree. John has now at last received his official graduation photo, which you see here. After retiring from a career in mental health, John decided to study in order to keep himself available to serve, using his experience and training. 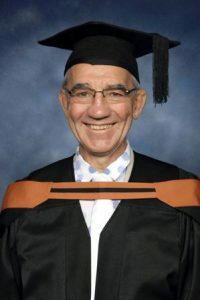 Having gained his BA at the age of 72, John’s next objective is to continue with Honours at UNISA, and maybe do his Masters after that! All good wishes to him in his further studies in Pretoria, where he is living now. Richard Bouch, who was a member of one of our Bible Study groups in the 1980s and now lives in the USA, revisited Grahamstown recently and was delighted to be back at the Cathedral and meet some people who remembered him. It was encouraging to hear him comment that South Africa seemed to him a far more caring and less materialistic country than the United States. All good wishes for a blessed Christmas, safe travel and blessings in 2018. 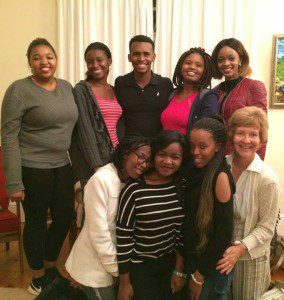 Earlier in the month the students had welcomed a group of youth from the diocese of George. They took the visitors for a tour of the Cathedral as well as hosting them to tea and supper. The Revd Claire has been appointed as part-time Chaplain and counsellor to Good Shepherd School. This is the first time a Chaplain has been appointed, and she will be spending one morning a week at the school, leading assembly and meeting children and staff. We ask God’s blessing on this new and much-needed ministry. Work in progress on the South wall windows. The work of keeping our lovely Cathedral in good repair is ongoing. 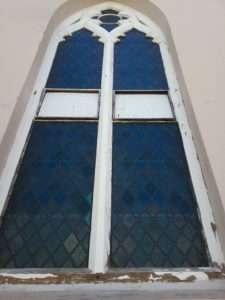 We recently had a visit from David Manning and his team of stained glass workers from Port Elizabeth, to do some much-needed work on the South windows. Congratulations to John Murray, former member of the Cathedral choir now resident in Pretoria, who graduated with his BA in Psychology and English Literature from UNISA on 16 October – with distinction! 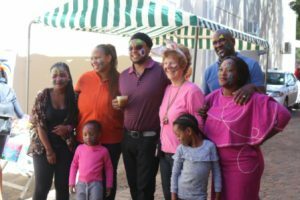 Margie Antrobus celebrated her 70th birthday on 12 October, after which Geoff and their son Charles went with her for a brief visit to Hout Bay for a family party with Charles’ twin Richard and his wife and baby. Prayers are asked for Florence Pswarayi on the death of her 27-year-old grandson Kudakwashe, as a result of asthma. 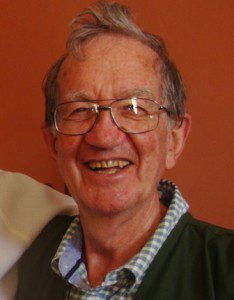 Please also pray for Thabisa Yili whose brother has died, and for Chris and Marian Walwyn, former parishioners now living in Bathurst, on the death of Marian’s brother-in-Law Kobus Prins. Chris Walwyn had a pair of cataract operations in East London at the end of October. Waiting for the second of these he met Maggy Clarke, who was waiting for her first op of two. Nomakwezi Gabavana, mother of Akona and Kutala, recently had a successful back operation in Paarl where she is based as a Colonel in the SAPS. We pray for their complete recovery. On 22 October the Cathedral Choir presented a concert at which they sang 16 items from their year’s repertoire: from Christopher Tye to African traditional, from Stanford to Bethke and much more! Congratulations to Kutlwano Kepadisa (Kepa) and the choir, as well as the accompanists Bayanda Mthetho (piano) and Jovan Heynsen (organ). At the end of the service two boys who were now about to write Matric and leave were presented with Bibles, and anointed by the Dean. Sixolile Lamani and Sivuyisiwe Ngqiyaza had been in the choir since they were trebles. We wish them every blessing in the future, hoping that future will include the use of their musical talents and skills. Kepa, not content with conducting two choirs (the Cathedral’s and Kingwood Senior), has started another one, which he describes as a ‘community’ choir. 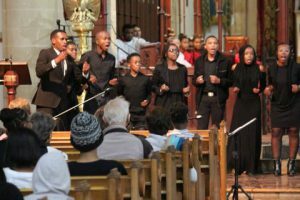 Kwantu presented its inaugural concert on the evening of 28 October in Kingswood Chapel, with Kingswood Choir also in attendance and contributing some items. The audience were blown away by the high standard of this body of 15 young singers, which incidentally included several members of the Cathedral Choir: Virginia David-Engelbrecht, Anelisa Kelemi, Bayanda Mthetho, Xolisa Foley, Avile Sonyamba and Sinesipho Nqumba, as well as our marimba leader Asakhe Cuntsulana. They sang jazz (Mike Skipper was a member of the accompanying jazz trio) and African traditional music, but also the hauntingly beautiful setting of ‘Ubi Caritas’ by Ola Gjeilo, for which Bayanda played the piano part – not just an accompaniment but a major component of the work. It is extremely good news for all his choirs that Kepa will be staying on in Grahamstown in 2018, and we look forward to Kwantu’s next concert. October was Dedication and Stewardship month at the Cathedral. An inspiring series of sermons on this important theme were given by the Revd Claire, Sub-Dean Mzi, Churchwardens Paul Walters and Ronaldo Burger, and Dean Andrew. The culmination was a splendid pair of Dedication Services on the morning of Sunday 29 October, at which many parishioners gave moving descriptions of the blessings God has bestowed on them in the past year, or throughout their lives. 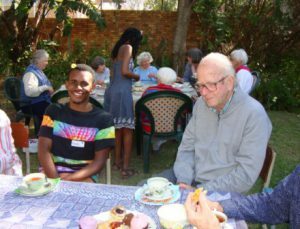 On 8 October we said farewell to Deacon Bertha Gowera, a BTh final year student at the College of the Transfiguration who had spent the second of two 7-week periods doing practical ministry at the Cathedral. Prayers are asked for her as she faces the future, given that her home diocese in Zimbabwe does not yet ordain women priests. We pray for all students and scholars writing exams at this time, especially Matrics, COTT and Rhodes final year students. 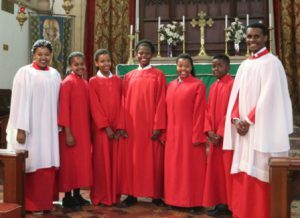 Anelisa Kelemi with the new choristers: Siyolisa Sandi, Khazimla Gedze, Sixolile Mafani, Alizwa Tom, Ambesa Cagwe and Kutlwano Kepadisa. Five new choristers were robed and formally inducted into the Choir of the Cathedral on Sunday 3 September during a Sung Eucharist service. Ambesa Cagwe in Grade 6 at Graeme College, Sixolile Mafani and Alizwa Tom who are both in Grade 10 at Victoria Girls, and Khazimla Gedze and Siyolisa Sandi (Grade 5 at Victoria Primary) have all served as Probationers in the choir during the earlier part of this year. At the end of this period they were re-auditioned, and accepted as full members of the choir. At the same service Avile Sonyamba was inducted as Head Chorister of the Choir. Now in Grade 11 at Victoria Girls, Avile has been a member of the Choir since she was in Grade 7, and was elected to this position of responsibility by her fellow Junior Choristers. 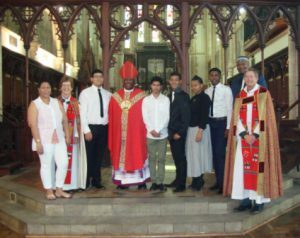 The Archdeaconry Confirmation on 10 September was a glorious occasion. Candidates came from a number of parishes, and those from the Cathedral were Simtha Citwa, Ethan de Vos, Arryn Michaels, Lwando Mtwa, Dale Pote, Nikki Kretzmann, Kutlwano Kepadisa (‘Kepa’) and Lou-Anne Liebenberg, our Parish Secretary. Lithemba and Phumeza Busakwe were both received into the Anglican Church and confirmed. We ask God’s blessing on them all. 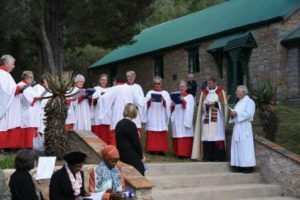 The choir led singing in at least four South African languages, from many traditions, sometimes unaccompanied, sometimes with piano, organ or marimbas. Kepa had a huge responsibility for this wonderful music, as well as hosting his mother and four brothers from Johannesburg, organising a party to celebrate the occasion on the preceding Saturday evening, and being confirmed himself! Another wonderful musical occasion was organised by Kepa with the assistance of Asakhe Cuntsulana (marimba leader) and Namso Nyamela. This was a Prestige Concert in the Cathedral on the afternoon of Saturday 30 September. The varied programme of works performed by members of the Cathedral family included music by amongst others, Mikhail Glinka, Michael Bublé, The Soil, and Hugh Masekela, as well as some of the musicians’ own original compositions. From mbiras and marimbas, to South African jazz to classical and choral works, what a kaleidoscope of music! Margie, Geoff and Charles Antrobus travelled to the Western Cape to be present at the baptism of their son Richard’s baby daughter Emily in Hout Bay. Claire and Rocket. Photo: Sue Maclennan (Grocotts). The Dean and Claire enjoyed visits from their student daughters Rachel and Nicola. They are both studying at Stellenbosch, but did not get leave at the same time. Rachel came for about a week, and after she had left, Nicola was able to spare a weekend. The Hunters have welcomed a new dog to the Deanery. Rocket, a rescue dog, is not only charming to look at, but only a few weeks after her arrival she proved herself a real heroine. In the early hours of Saturday 30 September, when Andrew was away, Claire was woken by frantic barking from Rocket, and then also heard crackling sounds. She looked out of the window and saw that the Provincial Traffic Department building, next door to the Deanery, was burning fiercely. She was the first to call the fire brigade, which arrived but was unable to save the building. We thank God that the many trees in the Deanery garden did not catch light, so neither Claire nor the Sub-Dean and family had to evacuate their houses as they had feared. It later emerged that the fire was no accident, but had been set by thieves who had broken into the building and stolen the guns which were stored there in a safe. 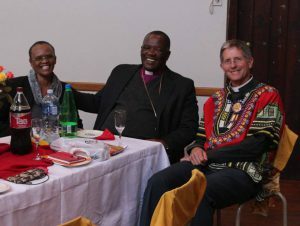 Claire Nye Hunter was among the delegates from Grahamstown Diocese who attended a Conference in Johannesburg to mark 25 years of the ordination of women to the priesthood in the Anglican Church of Southern Africa (ACSA). Women priests gathered from all over the Province, as well as some who served in the ACSA but are now based overseas, among them Suzanne Peterson. Congratulations to Nicola Hunter, who was elected “Onder Prim” (Deputy head) of Hippocrates Medical Residence for 2018, and to Zenande Landu, one of our CSM students for being appointed Sub-warden of her Res for 2018. 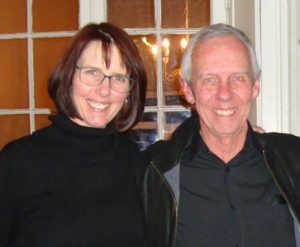 The Parish Council has honoured poet Chris Mann and his artist wife Julia Skeen, by designating them as “Honorary Artists in Residence, Cathedral of St Michael & St George, Grahamstown”. The purpose is to affirm them and thank God for their gifts and all that they offer. The honour was bestowed on them at the service of Choral Evensong on 24 September. 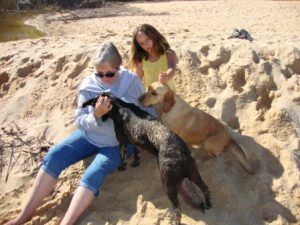 Suzanne in Port Alfred with Maggy’s granddaughter Laura and the family’s dogs. We are excited and delighted to welcome back Suzanne Peterson for a visit. 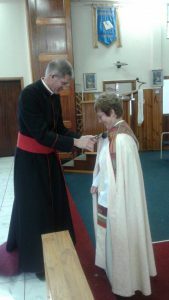 Suzanne, a former Sub-Dean and an Honorary Canon of this Cathedral, was the very first woman priest to minister and preside at the Eucharist in the Anglican Church of Southern Africa, at the invitation of David Russell, then Bishop of Grahamstown. She came to us from the Episcopal Church of the USA, which had ordained women for many years. 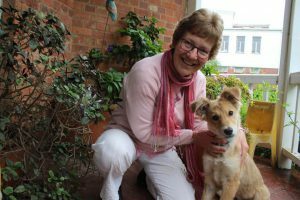 The example of the ‘normality’ and grace of her ministry had a huge effect on the clergy and people of this Diocese and beyond, paving the way for the first ordinations of women to the priesthood in the ACSA. These took place in Grahamstown Cathedral on 5 September 1992. 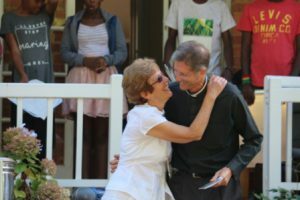 Suzanne spent two periods working as a priest in South Africa, mostly in this Diocese, though she ended her South African ministry in Cape Town before returning to the USA in 2012. Having recently retired, she is taking the opportunity to spend a few months travelling in South Africa and Swaziland. She stayed with Maggy Clarke for a few nights, attended the Cathedral on Sunday 3 September, and saw as many Cathedral and Grahamstown friends as possible. It was great to have her with us, looking well and happy. At the moment she has “no fixed address” but after her return to the United States on 4 October she will be making a decision as to her next step. Andy Kruger, a former Assistant Priest at the Cathedral, sent us news of himself and his wife Heather. They are now living in the States, where he is Priest in Charge of the Episcopal Church in Cranford. Heather has a 1½ hour daily commute to Princeton. Andy finds it “refreshing to have money and resources for church stuff” while adding that the Church in the USA is not as well off as it used to be. Our Cathedral is in need of some extra finance, and parishioners have devised a number of ways of raising funds, which also generate fun! One of these was a ‘Hot-Nite’, organised by Rose Spannenberg and Katie Appollis. All kinds of tummy-warming curry dishes were on sale. People paid in advance, and collected their hot food on the evening of Saturday 12 August. After all expenses were paid, the profit announced was a whopping R10,114.60. Well done! Congratulations to Val and Rose Buchner, whose 50th wedding anniversary was on 29 July. On 31 July Peter Stockwell celebrated his 70th birthday. He had a wonderful birthday surprise in the form of a visit from his daughter Clare, all the way from London! Our prayers for Cathy Pringle, whose aunt, Flo Schwikkard, died recently. Kutlwano Kepadisa, affectionately known as Kepa, was baptised at the Student Service on Sunday 20 August. Kepa, the Choir Intern currently conducting the Cathedral Choir, is now looking forward to his Confirmation on 10 September. On 27 July, in honour of Mandela Day and Trading Live, boys from the Eluxolweni Centre gave food to other youngsters worse off than themselves, who are eking out a living on the municipal dump. A number of the young people at the dump are former residents of Eluxolweni who are no longer eligible to live there because they are over the age of 18. A challenging series of sermons at the Cathedral Sunday morning Eucharists during July and August looked again at 1 Corinthians, and what St Paul is really saying. On 6 August Dean Andrew’s focus was on ‘Homosexuality’. His sermon and pew leaflet letter for that day exploded some Christians’ misconceptions, and misreadings of Scripture, and challenged us to “Let our yardstick… be that of love.” That weekend coincided with the visit of a team from Inclusive and Affirming Ministries (IAM) to the Cathedral and the College of the Transfiguration. The full sermon series (Parts One and Two) is being made into a hard copy booklet and will soon be available. 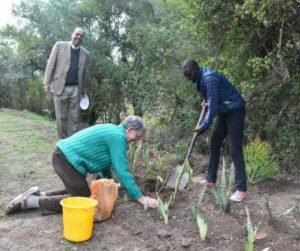 Wilbert and Rose Kadye have been faithful members of the Cathedral for many years, with Wilbert graduating in 2012 with a PhD in Ichthyology. Rose submitted her PhD thesis (Bio-technology) at the end of August, so we eagerly await the results! Over the past few years John Murray has been a member of the Cathedral congregation, and of the Tuesday evening Bible Study group, and has sung bass in the Cathedral Choir. At the end of August he moved to Pretoria, to be nearer to UNISA where he is going to further his studies. We wish him every blessing on this move, and on this next phase in his life’s journey. 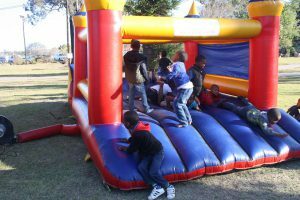 Congratulations to Sub-Dean Mzi Dyantyi on successfully organising a splendid Family Weekend for the Diocese. 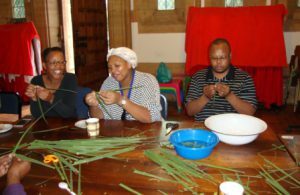 This took place on 26-27 August in King William’s Town. He gives thanks to God that everything went smoothly and the occasion brought blessings to those who attended. The National Arts Festival continued until 9 July. 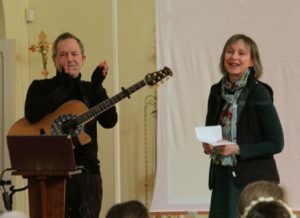 The Spiritfest Winter School lectures returned to the Chapter House, which was renamed the ‘Cathedral Coffee Shop’ for the duration of the Festival. Guests could sit around tables drinking coffee in comfort while listening to a great line-up of talks on the general theme of ‘Faith and Resistance’. From Fr Anthony Egan’s fascinating unpacking of the ethics of protest, to a discussion among Christian graduate students on faith and the #mustfall movement, there was plenty of food for thought. The launch of Chris Mann’s latest book, ‘Epiphanies’, was particularly moving, and well attended. The Open Mic session in the same venue drew fewer people than in previous years, but those who came heard some beautiful poetry, some of it read by the authors. 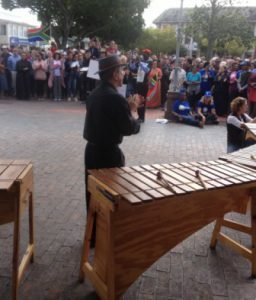 Chris Mann repeated his hip-hop psalm ‘Culani nonke’ (Sing, everyone) composed for the protest against President Jacob Zuma in April, at a Sundowner Concert at the Monument during the Festival. To hear his performance, go to https://vimeo.com/225225678 and enter the password ‘chris’. The Lucernarium on the Wednesday evening is proving increasingly popular. The final Festival service in the Cathedral included a beautiful rendering of Byrd’s Four-Part Mass by a small choir of invited singers conducted by Dr Simon Tibbs, and a memorable sermon by the Incumbent of Christ Church Grahamstown, Vic Graham. 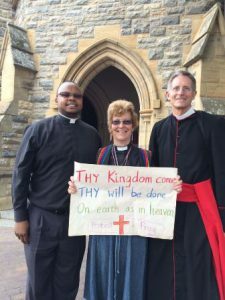 Before that the Dean, Claire and a number of Cathedral parishioners joined in the 08:15 a.m. Ecumenical Street Parade from the Drostdy Arch to Commemoration Methodist Church, led by the Spiritfest banner and the Methodist Bishop, Andile Mbete. Andrew Tracey suffered a sudden fall which resulted in him fracturing two bones in one ankle, and spent a few days in hospital in Port Elizabeth, but is now home. Also discharged from hospital is Jeanette Hodgson, who had pneumonia. We pray for their complete recovery. Pray also for the family of Jill Attwell, Dean Andrew’s aunt, who died recently. Di Harvey has been in hospital a number of times in the last few months, but is now back with us, and giving thanks to God for her healing and to the Cathedral family for their prayers. Also giving thanks are Sub-Dean Mzi Dyantyi and Lilitha, who were involved in an accident which resulted in considerable damage to their car, but they themselves were unhurt. Congratulations to John Murray on successfully passing his Psychology degree with UNISA, with two Distinctions! Most of us know Namso Nyamela as a Lay Minister, Cantor and server, but were unaware of her academic record. Recently she attended the South African Association of Geomorphologists Conference in Swaziland to give a presentation, and was awarded the prize for the Best Student Presentation. Wow! The Hunters made a brief post-Festival trip to Cape Town, to see Dean Andrew’s only sibling, Bridget Castle and her family who were there for a family holiday. She and her husband live in New Zealand; her son and daughter-in-law are in Shanghai; and their daughter is off to Mexico and the USA. Claire, Rachel and Nicola last saw some of the family ten years ago and had never met the new daughter-in-law! Bridget came to Grahamstown once the rest of the family had left, and joined the Hunters and Antrobi at the Karoo Literary Festival. Maggy Clarke also had a short holiday in the Western Cape, driving down with her Port Alfred family, and was able to spend two nights with the Bethke family: Erica, Tony and Andrew-John. She can report that our former Director of Music was well, and keeping busy with his post-doctoral work for UNISA. The day after she left, A-J flew to England to present a paper at a conference in Oxford. He continues to pursue possibilities for his next appointment. On 22 July Thelma Neville celebrated her 101st birthday with a party at Brookshaw Home, where she now lives. Congratulations and all good wishes to her. She appreciates having visitors, and Cathedral friends are encouraged to pop in. The student services have resumed after the vacation, and are following a theme of ‘Living a purpose-driven life’. We welcome back the students, and wish them God’s blessing in the new term. A warm welcome to our Festival visitors! Our prayers have been with a number of communities in South Africa and around the world which have suffered major disasters, with loss of life and homes. We think of the storm in Cape Town, fires in Knysna and the Port Elizabeth area, including huge damage to Woodridge College, as well as in Portugal, and terrorist attacks in the UK. At the Big Hymn Sing in the Cathedral on 11 June a collection was taken for the Woodridge College Fire Fund. Although this collection could not be advertised in advance, it raised the splendid sum of over R5,600. Choirs participating in the Big Hymn Sing included Kingswood College Juniors and Seniors, DSG, St Andrew’s College, the Pro Carmine Choir, Rhodes University Chamber Choir and of course the Cathedral Choir, which sang ‘Bawo Wam’. To listen to an extract, click here. The officiant at the service, Kingswood Chaplain Tim Marshall, commented that the Cathedral choir must have “had dancing shoes under their robes”. All the hymns had rousing accompaniment from the Kingswood College Concert Band, and the near-capacity congregation sang along with enthusiasm. Kutlwano Kepadisa (Kepa) conducted not only the Cathedral Choir, but also the Kingswood Junior Choir. Many thanks to Stephen Holder and the Kingswood music department for organizing this wonderful occasion. Further details are now available of the awards received by Graeme College members of the Cathedral Choir who recently were involved in Port Rex Lion Eisteddfod. ‘The Diminished 7ths’, a vocal ensemble of current and previous boys in the Cathedral choir, received a Gold. Hlumelo Kulati and Sihle Mgwinya each received Silver for solo voice. The Graeme College Senior Choir received a Gold, as did the Leopard Voices. Bayanda Mthetho got a Special Mention (90%+) and an award for most promising solo pianist in the senior section of the Eisteddfod. Bayanda is being increasingly used as an accompanist for the Cathedral Choir, and even accompanied the Festival evening service ‘Under African Skies’. Victoria Girls High School choir participated in the Sarah Baartman Mega District Choral Music Competition, and were placed second after Nombulelo High School. Judith Bartis died on 30 June. Our sympathy and prayers to the family, as we join them in giving thanks for her long life. Dean Andrew Hunter’s beloved Godmother Nola Houston died at the age of 102, and he travelled to Stellenbosch to conduct her memorial service. Sympathy also to the Burger and Bridger families on the death of their relative Owen Pearce. We pray for Jane Bradshaw’s brother Brian Mullins, who was involved in a car accident, and her great-nephew Luke Buchner, born prematurely, as well as his mother. Lynette Marais gives thanks for a second successful cataract operation. 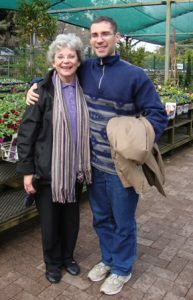 Cathedral parish secretary Lou-Anne Liebenberg and her son Lyndon are delighted to have found new accommodation, and are grateful for the assistance given by Cathedral people during their move. Mandilake Ncwadi, one of our servers who lives at Eluxolweni, has been chosen twice this year to represent the local Rotary Interact district. This Nombulelo Secondary School pupil was sent to Johannesburg on their behalf earlier this year, and on 27 to Cape Town for an inter-district public speaking event honouring the fallen heroes of the country. Congratulations! Congratulations to Michael Whisson who celebrated his 80th birthday on 10 June, and to Dean Andrew who turned 60 on 3 June. He celebrated this milestone the following day, which was also Pentecost Sunday, with a magnificent sit-down dinner in St George’s Hall. Bishop Ebenezer Ntlali, who had been the celebrant and preacher at the 09:30 service, was present with Mama Noncedo. There were tributes in words and music, including a version of ‘When I’m 64’ written and sung by Pat Terry. The Choir School held their AGM on Sunday morning 18 June in the Cathedral after church. We give thanks for the loyal service of Pat Terry and Virginia David-Engelbrecht, who stepped down as Chair and Treasurer respectively. The committee which was elected included the following: Chair: David Gain, Secretary: Maggy Clarke, Treasurer: Cathy Pringle, Fund-Raiser: Cathy Meiklejohn, Assistant Fund-Raiser: Kutlwano Kepadisa. Many thanks to David and to Cathy Pringle for taking on these roles. Messages of good wishes were read out from the former Music Director A-J Bethke, and the Director-Designate, Cameron Luke. We continue to pray that his work visa will be granted rapidly. A very small tree can potentially do a disastrous amount of damage if allowed to continue growing in the wrong place. Such a tree was discovered growing high up on the Cathedral tower. 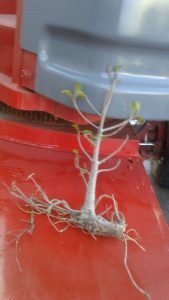 In order for local tree expert Ruben Klue to eradicate it, a crane had to be hired and brought from Port Elizabeth. 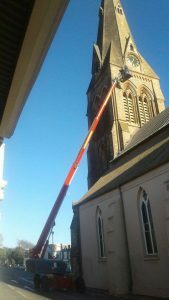 The Cathedral generously allowed the crane and team to be used at the same time, to deal with a similar tree growing out of the City Hall building. The National Arts Festival began on 29 June, but official opening ceremonies took place on the previous day. On the morning of Wednesday 28 June Spiritfest held their official opening in the Cathedral Coffee Shop (a.k.a. the Chapter House). This was attended by a wide cross-section of people involved in Spiritfest, and representatives from different congregations. Fr Bill Lovett from St Patrick’s Church led the opening devotions, praying for God’s blessing on Spiritfest. And then Maggy Clarke, Convener of Spiritfest, was surprised and humbled to be awarded a ‘prize’ by the rest of the Spiritfest committee, in gratitude for her work in this capacity and with the marketing. She received a card, a certificate, and a bouquet of flowers, as well as two tickets to a Festival show of her choice. But it was the musical tribute which nearly had her in tears, a beautiful rendering of John Rutter’s “The Lord bless you and keep you” sung by Kepa and Namso Nyamela with Jane Morgan, accompanied on the piano by Simon Tibbs. Later that day the opening ceremony of the National Arts Festival took place in the Monument Theatre, with dignitaries, speeches and musical items. The Cathedral Choir was honoured to be among those invited to take part. While the audience were taking their seats, Kepa conducted them in singing ‘Bawo Wam’, which was very well received. But it was the Massed Choir, among which were members of the Cathedral Choir, also conducted by Kepa and another local conductor, which had them literally dancing in their places! The musical events in the Cathedral during Spiritfest have been blessed with the leadership of two talented young musicians. Kepa conducted the Cathedral choir in a memorable and moving evening service, ‘Under Africans Skies’ when the words of the songs sung were projected on a big screen above the choir’s heads, together with beautiful pictures of Africa. 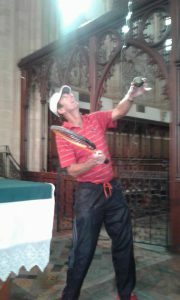 In preparation for the service, the tennis coach at Kingswood, Chris Looke, was asked to ‘serve’ a ball with a string attached, over a beam situated high up, just below the chancel arch. The strings were then used to draw up the screen. The service was devised by Ron and Jenny Gill of Johannesburg, who generously travelled to Grahamstown to assist with the presentation. A number of the songs were composed by Ron, and one by their son Peter. Kepa was the conductor of a different group on the first Sunday morning Festival Eucharist, when an invited group of jazz musicians and singers presented Bob Chilcott’s ‘Little Jazz Mass’. For an extract from the ‘Gloria’, click here. Dancing in the aisles was the order of the day again when Asakhe Cuntsulana and the St Michael’s Marimbas gave their two lunch-hour concerts. They were polished, they were enthusiastic, their joy was infectious! To listen to them playing, click here. 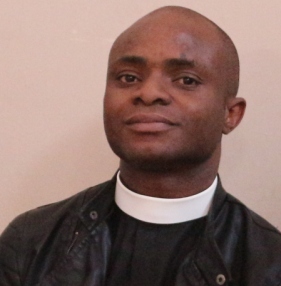 A warm welcome to the Revd Idowu Akinloye from Nigeria, studying for his PhD at Rhodes. On Sunday 28 May the Dean issued him with a General Licence on behalf of Bishop Ebenezer. At the same service two new Lay Ministers were licensed, Noncedo Reme-Mnandi and Vuyokazi de Beer. We ask God’s blessing on their ministry, which will include teaching the Eluxolweni children in Junior Church. 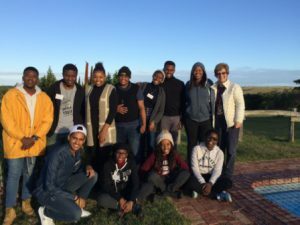 A new team of eight College of the Transfiguration students has joined us to gain pastoral experience. They are: Lithemba Busakwe, Wilfred Maritz, Carlos Vaz Respeito, Vuyelwa Mguli, Philile Lobese, Siyabulela Bam, Sthembiso Mbatha and Luvuyo Mvaphantsi. We welcome them warmly and appreciate having them with us in various ministries at the Cathedral. 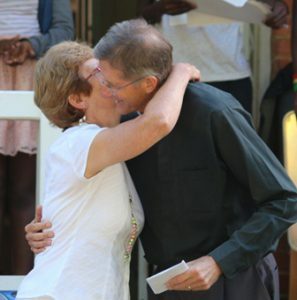 Sad news is that Mark, the husband of COTT student Deacon Bertha Gowera, died suddenly in Zimbabwe on 12 May. We hold her and the family in our prayers. After returning home for the funeral, she is back with us, and keeping busy with her studies. Just before going to press we learned of the death of Gaynor Miles. We pray for her husband Lewis and the family. The last weekend of April saw a number of baptisms in the Cathedral. 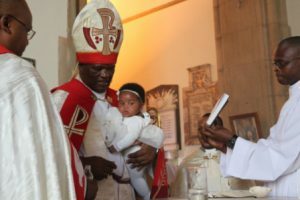 On Saturday 29 April Lulibo, daughter of the Revd Luthando and Lusanda, was baptized by the Bishop. Next day followed the baptisms of Arabella Appollis, daughter of Sylvester and Christeice, Qhamani-Nande Twaku (Zintle’s child), Nqabisa Twaku whose parents are Zanele and Xolela, and Siphokazi Njokweni’s family members Lindela and Lisakazi. We welcome these special children of God into the Cathedral family. The Cathedral had the opportunity to celebrate Claire and Andrew Hunter’s Silver Wedding anniversary on Sunday 6 May, when everyone was invited to gather in the Deanery garden after the 9.30 Eucharist for tea, cake and champagne. The sun shone and everyone had a sparkling good time. Special thanks to the organizers, Margie Antrobus, Sally Terry, Elizabeth Breetzke and June Venn. Congratulations to Beth Denton on her 90th birthday, and to the Cathedral’s team of knitters at the annual sponsored Hospice Knit-a-thon on 9 May, who won the prize for the most money raised. 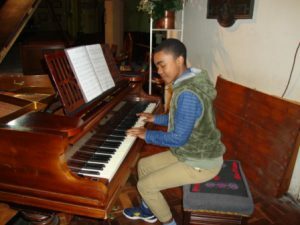 Congratulations also to Bayanda Mthetho, one of the junior choristers who is in Grade 8 at Graeme College, on his success playing the piano in the recent Eisteddfod, and to Nicola Hunter who was invited to join the “Golden Key Society” on the basis of her academic results at Stellenbosch last year. Two South African male voice choirs which are going on tour to Argentina and Uruguay soon will be giving the international premier performances of works by composers well-known to us, who won prizes in a prestigious recent competition. Gareth Walwyn won Best Arrangement, and A-J Bethke shared the prize for Best Original Composition. Well done! 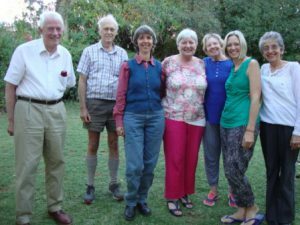 Colin Lewis (left) and Marijke (centre) with friends in Grahamstown. It was lovely to see Marijke and Colin Lewis, who were in town for a few days visiting from the UK. 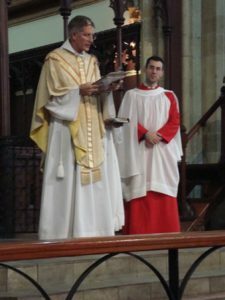 Colin did a tremendous amount for bell-ringing during his time in Grahamstown, and Marijke sang in the Cathedral choir and took organ lessons from Christopher Cockburn. These have stood her in good stead as she now plays the organ at her church in Wales. Prayers are asked for the musicians at the Cathedral. We give thanks for the talents and energy of the Choir Intern Kutlwano Kepadisa (‘Kepa’) who is acting as Director of Music until the arrival of Cameron Luke to succeed AJ Bethke. Kepa is assisted by Anelisa Kelemi, and the organ (and sometimes piano) is played by a roster of local volunteers: Peter Breetzke, Jovan Heynsen, Stephen Holder, John Jackson, Mike Skipper, and Simon Tibbs. The cantors and marimba players continue to be vital in leading the music during our worship. Choral services continue as usual, and the choir and marimbas are busy practising for Spiritfest. Ten adult members of the Cathedral Choir went to St Cyprian’s Highlands on the morning of Sunday 14 May to sing at the dedication of the “Rose Garden”. This garden has been beautifully levelled and landscaped to accommodate the annual St Cyprian’s Country Fair and other church and community events. It was dedicated and named in memory of the late Dr Celia Jameson Rose, and it was because she had so loved being a member of the Cathedral Choir that her husband Peter invited them to sing on this occasion. In the absence of Kepa, who was attending the Student Ministry Camp, Charles Antrobus conducted the choir. It was a family occasion for the “Antrobi”. 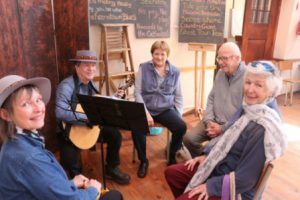 Geoff and Margie were there, as regular worshippers at Highlands, and with them were their daughter Shirley Horan and her three sons, visiting from Canada. After a Eucharist at which the Dean was the preacher, Peter and Celia’s daughter Sarah Dunn, from Charlbury, Oxfordshire in England, unveiled a plaque in her mother’s memory. The little country church was filled with up to 100 people, and many of them stayed to enjoy a bring and share picnic lunch. The “Rose Garden”, it was pointed out, was named for Celia, but did not contain any roses! This was remedied by Andrew and Heather Tracey, who donated a rose bush and immediately planted it. At the same time Claire Nye Hunter and Jane Bradshaw were away at Assegaai Trails with Kepa and a party of Cathedral students, including some from COTT, for a weekend of “food, fun, fellowship, friendship and faith…” There was some drama: a brief stroll before supper turned into a three-hour hike, getting lost in the dark. Jane Bradshaw heard and recognized the call of a leopard, but that information was kept from the campers until they were all safely back at the camp and had enjoyed a good night’s sleep! Thanks were expressed to generous parishioners who gave donations of food or money. As a result several of the students were sponsored to enable them to attend. Unfortunately Claire came home with tick-bite fever. We pray for her speedy and complete recovery, and prayers are also asked for Di Harvey, who has been in hospital. Thelma Neville (approaching her 101st birthday in July) is becoming increasingly frail. 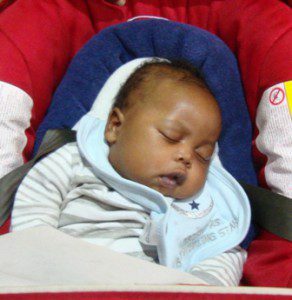 Samila Dyantyi, little son of Sub-Dean Mzi and Lilitha, was taken seriously ill with septicaemia, and had to be admitted to hospital in East London. It might have been caused by the eczema and throat infection he had been experiencing. We give thanks to God that the intra-venous treatment he received brought down his temperature and rescued him from this life-threatening condition, and that he has now been discharged, and come home. Those who attended the 9.30 Eucharist on the Sunday after Ascension Day will have noticed that we sang a new Ascension hymn, ‘Lord as you ascend on high’ (to the tune of ‘Loving Shepherd of thy sheep’.) This was written recently by John Gardner, and offered to AJ Bethke in response to a need expressed by the Rector of St Stephen’s Pinelands in Cape Town for a hymn which emphasized humanity, through Jesus, being drawn up into the Godhead. Many thanks to AJ for sharing it with Grahamstown Cathedral. News of AJ is that he is doing further work on the new South African Hymn Book, an early draft of which we are already using at the Cathedral. He has circulated his CV to various institutions in South Africa and beyond, and received at least one hopeful response, and we pray for the right way to open up for him. Congratulations to our Dean, Andrew Hunter, and his dear wife Claire Nye Hunter, on the 25th anniversary of their wedding on 20 April. 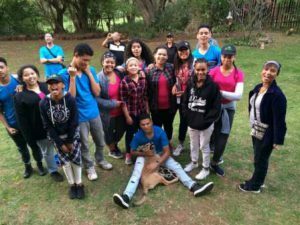 They celebrated this with special friends at Great Brak River, including a trip up the mountain in a “Power Van” and lunch at Botlierskop watching the rhinos, giraffe, wildebeest and impala. And further very warm congratulations to Clive and Penny Whitford, who have been married for 50 years. 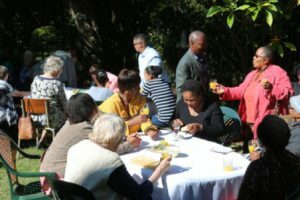 They enjoyed a splendid celebration of this Golden anniversary, which fell on 8 April, with all their children and grandchildren at a guest farm in the Curry’s Post area of KwaZulu-Natal.We welcome back Dawn Long after a brief sojourn in the UK. It is good to have her here, and back on the servers’ team at the 7.30 a.m. Sunday services. It is also good to welcome Margie and Geoff Antrobus’s daughter Shirley and her three boys, who are staying until early June. Prayers are also asked for Val Buchner, who had an operation on 12 April. Chantel Tesner, the Cathedral book-keeper, was bitten by a spider and had to take some days off work, but we gives thanks that she has now recovered completely. At the end of March the news broke that State President Jacob Zuma had re-shuffled his Cabinet, a move which included firing the Finance Minister Pravin Gordhan. This resulted in a wave of international shock and disapproval, with ratings agencies reducing South Africa to “junk status”. Within the country also, reactions were immediate. From small towns to great metros there were demonstrations and marches. Grahamstown was no exception, and Church Square outside the Cathedral was the scene of two separate vigils. First on Wednesday 5 April the veteran former members of the Black Sash stood for an hour, joined by others, holding posters remarkably similar to those they used to hold in the struggle years: “Mr Zuma, when will you listen?” read one. (The original had said “Mr Botha…”) The Black Sash women had wanted to join in the very much larger Vigil called for by the Dean for Friday 7 April, but due to their stand being accidently advertised for Wednesday, felt they were obliged to come out on both occasions. 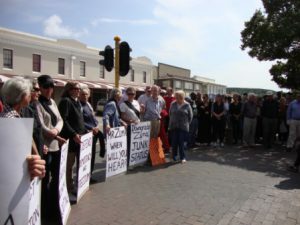 The Friday one-hour Vigil was well attended by a wide cross-section of the population of Grahamstown, with some participants wearing the t-shirts of various political parties, and numerous witty and thought-provoking posters. The Cathedral marimbas played beforehand to attract attention, and then at 1 pm the tower bells were tolled and there was silence. The Dean organised and hosted the event beginning in prayer, Bishop Ebenezer Ntlali spoke, and then there was an open mic for anyone who wanted to contribute. Chris Mann got the crowd going with a catchy rap and hip-hop song he had composed. By contrast, “Kepa” Kepadisa gave a sober speech that left us pondering. The singing of “Senzenani?” (What have we done?) was particularly poignant. Making Palm Crosses: it’s easy when you know how! Holy Week was celebrated with a succession of moving and meaningful services, at which the adults of the choir sang, the juniors being away on school holiday. The services began on Palm Sunday with a procession from Church Square with palms. A small family of four donkeys turned up beforehand uninvited – hoping to audition for a part? On Good Friday the three hours’ service again saw members of the clergy and lay ministry team adopting the persona of various characters who had encountered Jesus, who gave evocative accounts of their feelings at the time of his crucifixion. The three hours passed quickly, as Nceba January took the part of Judas, and John Jackson was a surprisingly amusing King Herod, with allusions to contemporary politics. Pat Terry imagined Barabbas as a veteran freedom fighter, who having escaped crucifixion, had eventually found himself besieged at Masada, among the remaining few who had determined to commit suicide rather than fall into the hands of the Romans. Claire Nye Hunter entered into the world of the Samaritan woman who met Jesus at the well, and Geoff Antrobus was a desperately penitent Peter. Namso Nyamela’s account of the life of the woman who was healed from a haemorrhage was heart-rending, and lastly we heard from Dean Andrew what it must have been like to be Lazarus. A different view of the Crucifixion was that of composer John Stainer, and his famous work was presented on Holy Saturday evening by a visiting choir from the UK, ‘Moorland Voices’. Mike and Sue Skipper had belonged to this group when they were living there. The Skippers joined in singing the oratorio, Mike singing the bass solo while Charles Antrobus sang the tenor, and AJ Bethke accompanied them on the organ. Listening to farewell tributes at the luncheon. 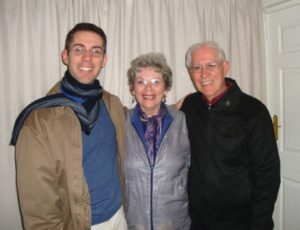 Easter Day was AJ’s last occasion to accompany Cathedral worship on the organ, at both the 6 a.m. Vigil service, and the 9.30 a.m. AJ’s parents, Erica and Tony Bethke, had driven up from Cape Town to be present at the Easter services, and to help him transport his belongings back to the Mother City. At the end of each service, the Dean read out a personal tribute to AJ, and after the second service members of the Cathedral team and friends laid hands on him and prayed for God’s blessing on him in the years ahead. We join in prayer for AJ, as he goes forward into an unknown future, and for his successor Cameron Luke, that he may soon receive his work visa and be able to join us. The Dean announced another new appointment on 26 March, that of a Director of Music to succeed AJ Bethke who leaves after Easter. Cameron Luke will be coming to us from Cheltenham in England, where he has been Director of Music at All Saints’ Church for ten years. He already has experience of working outside the UK, having been Kantor (organist) at a church in Nesbyen, Norway, before he went up to Worcester College Oxford to study music. Unfortunately the date of his arrival in Grahamstown cannot yet be announced, as it is dependent on how long it takes the South African authorities to grant him a work visa. 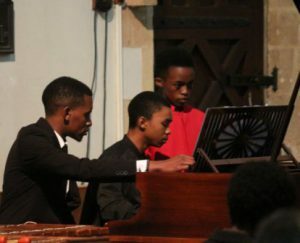 In the meantime the Cathedral music will be in the hands of a team of organists and pianists, the Choir School Committee, and the choir intern Kepa (Kutlwano Kepadisa) and marimba intern Asakhe Cuntsulana. 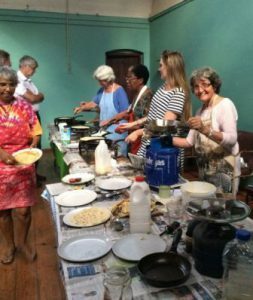 Shrove Tuesday fell on 28 February this year, and Sally Terry and her wonderful team of volunteers of all ages produced a record number of 840 pancakes. Due to the generosity of many who had contributed to the ingredients, the money raised from their sale was almost all profit. The sum raised for the Bishop’s Lent Appeal was a whopping R7,931. In addition to this, the evening was a tremendous social success, with many of the customers sitting down to eat and chat together. The solemn evening Eucharist which marked the beginning of Lent on Ash Wednesday was unexpectedly held by candle-light, due to a serious power-cut which in the centre of town lasted well into the next day. The result was beautiful and memorable. As members of the choir sang plainsong in Latin and Greek (Kyrie Eleison), we felt united with the church throughout the ages. 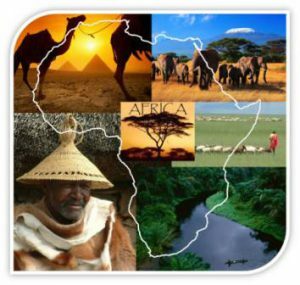 And then we were brought right into the here and now with African Amens and the Prayer for Africa. The Annual Vestry meeting saw the re-election of all Churchwardens and Parish Councillors with the exception of Lunga Dongwana, who as a Deacon is now an ex officio member of the Council. We congratulate them, and wish God’s blessing on the important roles they fulfil in the parish. They are: Churchwardens Ronaldo Burger and Ian Meiklejohn, Alternate Churchwarden Paul Walters, and PCC members Jane Bradshaw, Rose Spannenberg, Cathy Euijen, Rodney Bridger and Patrick Pringle. Sister Carol CR represents the Sisters. The Cathedral Student Ministry and ANSOC are also entitled to send reps. When the Dean admitted the Wardens and Councillors on 12 March, he also licensed the Revd Luthando Madiba on behalf of the Bishop. 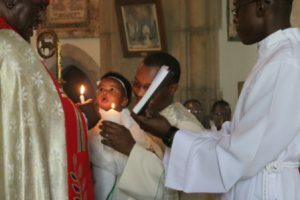 Luthando received a ‘General Licence’ rather than being licensed to the Cathedral, in view of the nature of his work as Media Officer, which involves travelling all around the Diocese. Our sympathy to the Dongwana family, on the death of Yoliswa’s brother Mpilo Ian Ngxilo, to Sub-Dean Mzi whose aunt Muriel Bam has died, and to Thelma Neville on the loss of her beloved sister-in-law Molly Thorndyke, who died in East London. On Saturday morning 18 March Andrew and Heather Tracey were attacked in their home by two young men, who hit Andrew and tied them both up. We give thanks to God that their injuries were not serious, and that one of the perpetrators was immediately arrested by Hi-Tech, who also recovered Andrew’s precious laptop. Released from hospital after a few hours’ observation, Andrew was able to go home to Heather the same afternoon, and the two of them attended the 09:30 service at the Cathedral the very next day. We pray for their complete recovery from the trauma of the event. The CSM students enjoyed a double feature movie night recently, and raised R220 towards their forthcoming camp next term. The Sunday night “God and the F____ word” series has been well received, with plenty of opportunity for engaging and discussing the input in small groups in the context of the services. A Bible Study group for students plans to meet every second week in term time. 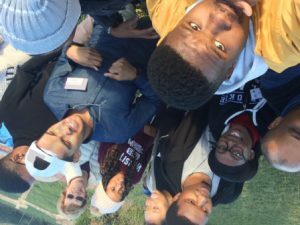 The Young Adults “Connect Group” is finally starting at the end of March, rather later than planned due to various unexpected delays – not least that Anna Talbot was part of an overseas music tour with the KZN youth orchestra! The annual Masicule concert presented by the National Arts Festival and directed by Gareth Walwyn, featured school choirs and singing ensembles from across the city, in a packed Monument Theatre. Among them were the choirs of Nombulelo High School, the combined choir of DSG and St Andrew’s College and Kingswood College Senior Choir, as well as their Band. Kepa conducted the Kingswood choir. Most of the junior members of the Cathedral Choir took part in either the VGHS Choir or the Leopard’s Voice (Graeme College small choir). In addition some VGHS members of the Cathedral choir sang in an a capella group called #_Official. Their choice of ‘Chandelier’ (definitely not church music!) was enthusiastically received, and they must be congratulated on arranging the music themselves. It is proving hard to let go of our well-beloved Cathedral Director of Music AJ Bethke. 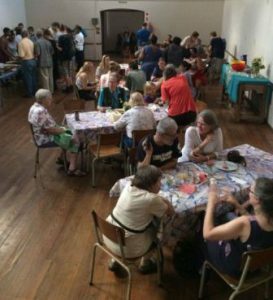 As proof of the affection and esteem in which he is held by the parish and the wider community in Grahamstown, a whole series of farewell events have been organised. Some of these will be described in the next issue of People and Places, but to begin proceedings he gave a recital on the organ of Kingswood College, consisting entirely of the works of J S Bach, on the occasion of that composer’s 332nd birthday. It is too easy to take the talents of an organist for granted, when the music is a background to movement or prayer in a service. But in the context of a recital we were given a glimpse of what is involved – playing one tune with the right hand, another with the left, and yet another with the FEET! Next came AJ’s last Evensong conducting the full Cathedral Choir with the Juniors, on 26 March, at which Pat Terry paid tribute to him for the contribution he has made to the choir and Cathedral. We ask God’s blessing on the Core Team, pictured here. Back (left to right): Anelisa Kelemi (worship), Ayanda Dabengwa (tea) Kepa (Kutlwano Kepadisa, worship), Ayabulela Matolweni (Advertising), Odi Lehasa (secretary). Front (left to right): Zenande Landu (Advertising), Nomvelo Masango (Fundraising), Rosa Msweli (chairperson), Rev. Dr. Claire Nye Hunter. Absent: Theo Duxbury, Zikhona Mtwa. 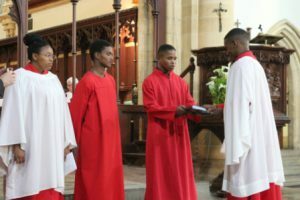 For the second year running, the Makana Choir School has appointed a student intern to assist with the training and mentoring of the young choristers. Kutlwano Kepadisa, always known as Kepa (see above), is a third-year student who took part in a conducting course which AJ Bethke ran last year. Happily, Anelisa Kelemi, last year’s intern, is still around to assist as well. This is a great blessing as we face the prospect of a possible interregnum when AJ leaves after Easter, before the post of Cathedral Director of Music is filled. It was a pleasure to welcome back for another visit former Cathedral music director and organist Barbara and Wilf Stout. Although they must have been glad to escape the Scottish winter for a few weeks, they were not exactly on holiday, as they were kept busy emptying their Grahamstown house so that it can be let or sold. They succeeded in this task, and left town on 21 February, but they have assured us that they will come back and see us again. Another welcome overseas visitor was Cathy and Patrick Pringle’s daughter Janet, with her partner Mark, from India. Patience Osadebe, a visiting academic from Nigeria, and widow of a Canon of the Anglican Church, has been worshipping with us while she is working at Rhodes Pharmacy Department for a month. After six years studying at Rhodes, Faith Magwenzi has handed in her Masters thesis, and departed to take up a post in Johannesburg. We wish God’s blessing on her move, and in her new job. Deepest sympathy to Alfonso and Raquel Michaels, on the sudden death of their twelve-year-old daughter Alanah. She apparently died as the result of a diabetic episode (type 1 diabetes). We also pray for Siphokazi Njokweni, whose aunt died on 27 December, and remember with thanksgiving the life of former organist at this Cathedral, Ivan Kilian. 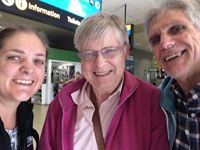 Andrew Tracey was admitted to hospital in Port Elizabeth recently after an episode which left him temporarily unable to speak. We give thanks that he was soon able to speak (and sing) again, and was fit enough to be discharged a few days later. We pray for his full recovery, and for Audrey Holmes, who has been having severe pain in her knee since falling at home in St Luke’s. 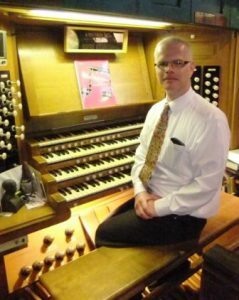 On 23 February AJ Bethke gave an organ recital, this time not on the Cathedral organ, but on the newly restored instrument in Commemoration Methodist Church. As that organ was designed and built in the Romantic period, AJ’s choices of music were mainly in that style, featuring composers such Guilmant and Mendelssohn, and ending with the ever-popular Toccata from Widor’s 5th Symphony. What a treat! The Cathedral bells have been silent recently due to a sad lack of ringers. By contrast on the afternoon of Saturday 25 February, all ten of them were to be heard, courtesy of a band of ringers from England. They were taking part in a tour which included peals on all the ringable bells in New Zealand and Australia before proceeding to South Africa and Zimbabwe. The peal was streamed live on the internet, so Colin Lewis, who was instrumental in the restoration of Grahamstown Cathedral’s bells, and who inspired a wonderful revival of enthusiasm for bell-ringing here, was able to listen to them from his home in Wales. He wrote: click here. The majority of South Africans feel deeply concerned for the state of our beloved country, whether we think of education, finances, or the quality of governance. United Prayer for South Africa (Up4SA), a country-wide initiative of Christians from many denominations, organised prayer services to take place simultaneously all over the country on the afternoon of Sunday 26 February. 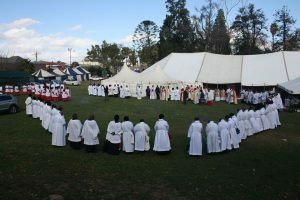 The Cathedral hosted the Grahamstown service, which was attended by a relatively small but diverse group of Christians. 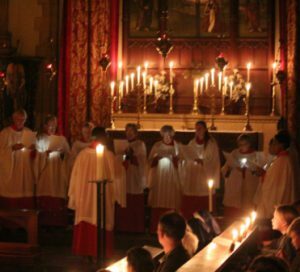 Later the same evening there was a Choral Evensong with a difference, celebrating the life and works of George Herbert, an English poet-priest who died in 1632. Some of his devotional poems were read, and others sung because they are favourite hymns, like “Teach me, my God and King”. One, “The Call”, was sung as an anthem by the choir to a setting by AJ Bethke. If any of those present wondered why some members of the choir went bare-foot, the explanation is that they had been finding it difficult to remember the rule “black (or brown) shoes in the sanctuary”. An ingenious new amendment to the rule was introduced on 26 February: “black (or brown) shoes – or nothing on your feet….” Even some of the adults were caught out. On 29 January the Cathedral was packed for our annual Back to School service at 09:30, with most of the congregation being high school learners in uniform from a number of Grahamstown schools. What a joy to participate in this act of worship, almost entirely led by young people, and with the participation of school choirs and the juniors of the Cathedral Choir. The sermon was given by the Revd David Stansbury, Chaplain at St Andrew’s College. Congratulations to the newest member of our clergy team. Lunga Dongwana was ordained as a self-supporting transitional Deacon on 10 December in Bernard Mizeki Church, Scenery Park. We pray God’s blessing on this new phase in his already fruitful ministry at the Cathedral. In one exciting week in December we welcomed not one but two new babies, children of priests at the Cathedral. 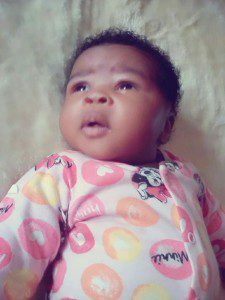 On the 6th Lusanda and Luthando Madiba were blessed with their first-born daughter, Lulibo. And then on the 10thSamila Dyantyi was born to Sub-Dean Mzi and Lilitha, a brother for Sambesiwe. Congratulations and blessings on them all. Natal, died at the beginning of November. One of the residents of St Luke’s, Hazel Maclean, died at the end of January. Prayers are asked for their families. Services over Christmas included a second Carol Service, with the adults of the Choir, on 18 December, and the lively and popular Crib Service on the afternoon of 24 December. Once again Nicola Hunter had assembled an ad hoc orchestra from among her friends to accompany the carols.This time there were some adult actors in the impromptu Nativity Tableau, and a real live baby. 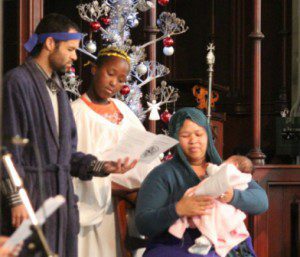 The parts of Joseph and Mary were played by Sylvester and Christeice Appollis, with baby Arabella as Jesus. Christmas 2016 was an occasion for several family gatherings. Paul and June Walters hosted their four sons, plus three daughters-in-law and all the grandchildren, for a belated celebration of their 45thwedding anniversary. 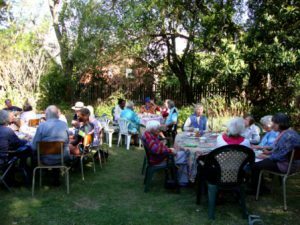 Geoff and Margie Antrobus gathered a grand assembly of over thirty relatives in Kenton, at the home of Geoff’s mother Sheila. This included their daughter Helen Pfister and her husband and children from New Zealand. Maggy Clarke has fewer relatives but all nine of them had a family holiday together at Mdumbi in the Transkei, to celebrate her 70th birthday. The Vandereyken family all went home to Belgium for a family Christmas, but are back again for the new school term. 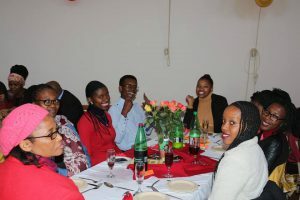 We give thanks for the Bridge the Gap students who completed their courses with Oasis Grahamstown, and pray for the new intake now being recruited to take this one-year course for unemployed young people. It equips them with computer skills, readies them for the work-place, and for some may lead to the chance to train as teachers. A Christmas circular received from former Cathedral assistant priest Andy Kruger and his wife Heather brings the news that Heather is studying Astrophysics at Princeton University in the USA. Andy has been appointed to Trinity Episcopal Church, Cranford, not far from New York, but is still awaiting the granting of his Religious Worker Visa. Liqhame Beja, Maggy Clarke and Liyema Bobotyani, at St Martin’s Rosettenville. 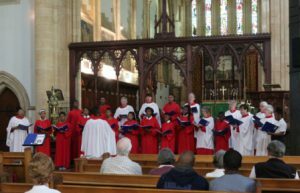 In the New Year the Royal School of Church Music held a Summer School for choristers at St Martin’s School Rosettenville, Johannesburg. Three members of the Cathedral choir attended: juniors Liyema Bobotyani and Liqhame Beja, and Maggy Clarke. This was a special experience, singing with a different group and learning new music, under the enthusiastic leadership of a young Director from the UK, Jonathan Lee. 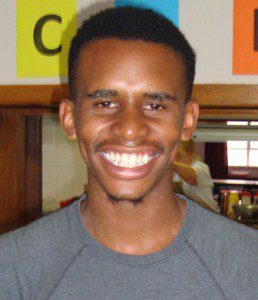 Congratulations to Khonzi Somandi, now in the 3rd year of his BSc at Rhodes. He has written a song which he sings with Lutho Zono, and which can be heard on YouTube: “Dear Black Child”. Lutho, who was a member of the Cathedral Choir while at VP, and went on to Kingswood College, is registering for a BA in law at Rhodes this year. We pray for a peaceful start to the university year, and blessings on all returning and new students and members of staff at Rhodes.